The Ojai Music Festival welcomes Ojai Valley residents to get involved in the upcoming Ojai Music Festival slated for June 6 to 9, 2019 with Grammy-winning soprano Barbara Hannigan as music director. The Festival is seeking guest housing for musicians, production crew, and interns that include guest cottages, private rooms, and homes. The Festival also includes volunteer opportunities in various positions in the following areas: ushering, venue set up, special events, and merchandise sales. Volunteers receive special perks for their generous donation of time and talent. The 73rd Ojai Music Festival, June 6-9, 2019, celebrates and explores the creative breadth of Music Director Barbara Hannigan, as conductor, singer, and mentor. Joining Hannigan will be the US debut of her mentoring initiative for young professional artists, Equilibrium (EQ), and the US debut of the orchestral collective from Amsterdam, LUDWIG, with whom Hannigan made her Grammy Award-winning conducting debut CD “Crazy Girl Crazy” in 2017. Returning to Ojai will be 2015 Music Director Steven Schick, who will both perform and conduct, and the JACK Quartet performing works by John Zorn, Tyshawn Sorey, and Arnold Schoenberg. Program highlight include the staged production of Stravinsky’s The Rake’s Progress with Hannigan conducting and members of EQ as the cast; Hannigan as singer in Gérard Grisey’s Quatre chants pour franchir le seuil, John Zorn’s Jumalattaret, and Girl Crazy Suite, a special arrangement by Bill Elliott of songs from the Gershwin musical; Hannigan conducting Vivier’s Lonely Child, Schoenberg’s Verklärte Nacht and Stravinsky’s complete ballet Pulcinella. In addition, the Festival will give a concert in memoriam for 2005 Music Director Oliver Knussen. 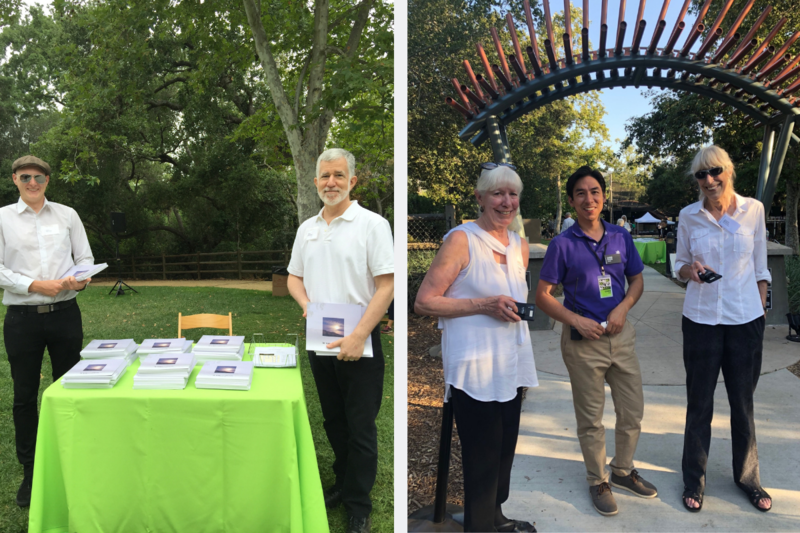 For more information on housing hosts or volunteering for the Ojai Music Festival, please call 805 646-2094 or email info@ojaifestival.org, or download application here.